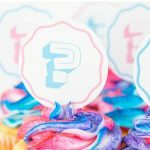 Back when I had my son (a long long time ago and in a galaxy far far way), we didn’t have gender reveal parties. 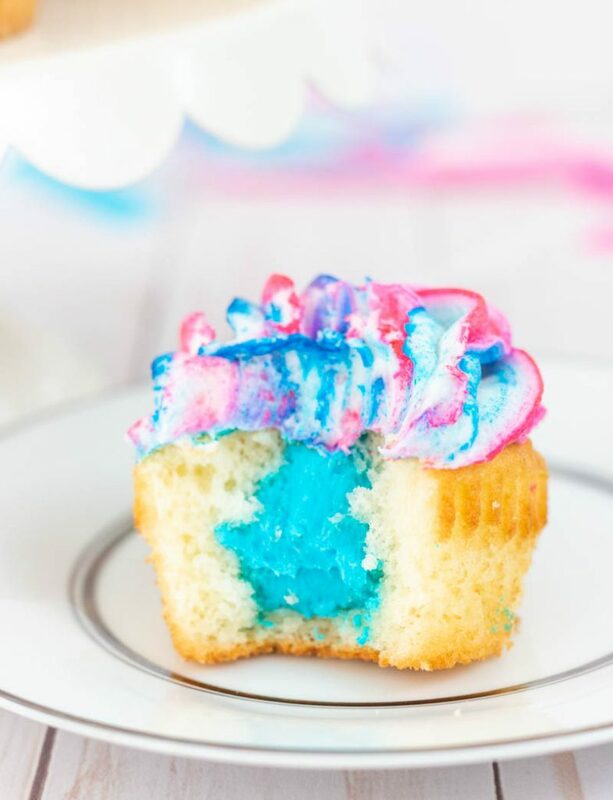 It just wasn’t a thing. 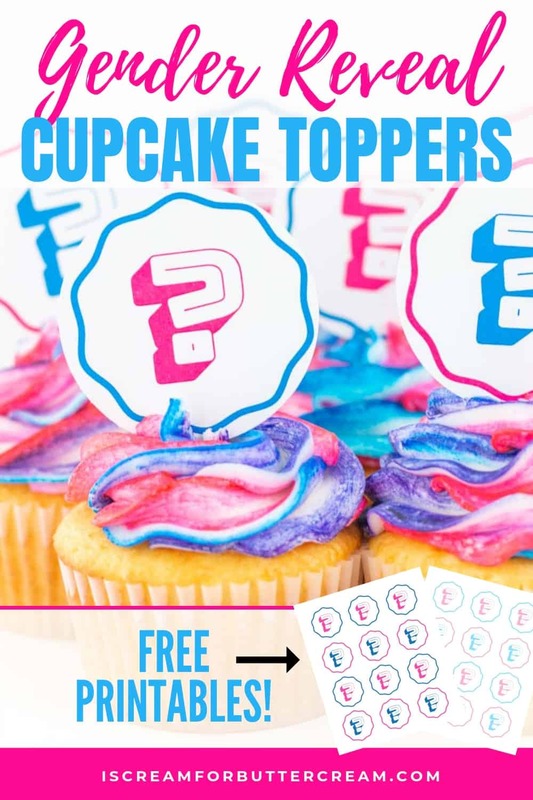 Well maybe it just wasn’t a thing in my area. 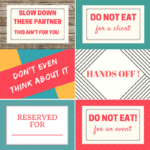 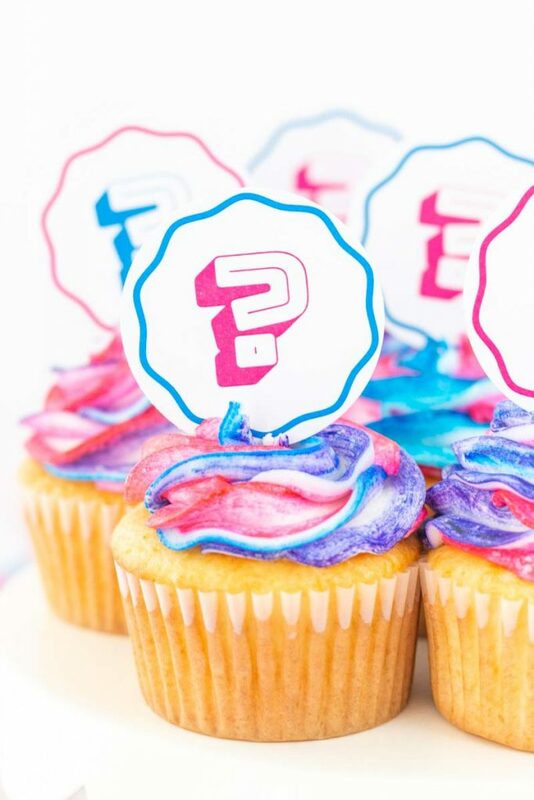 Anyway, I think people are so clever coming up with sweet videos and specialty cakes for their reveal parties, but I wanted to come up with something simple and easy to do (that wouldn’t take all day), but still looks cute. 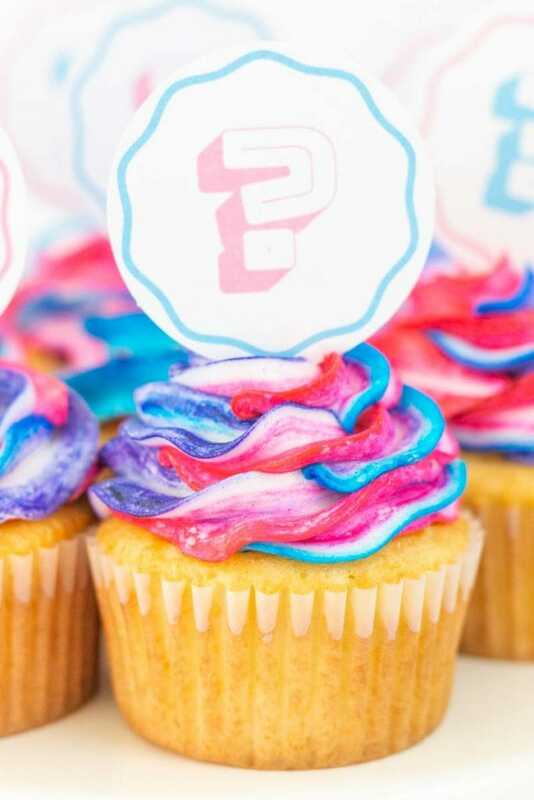 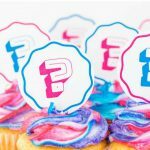 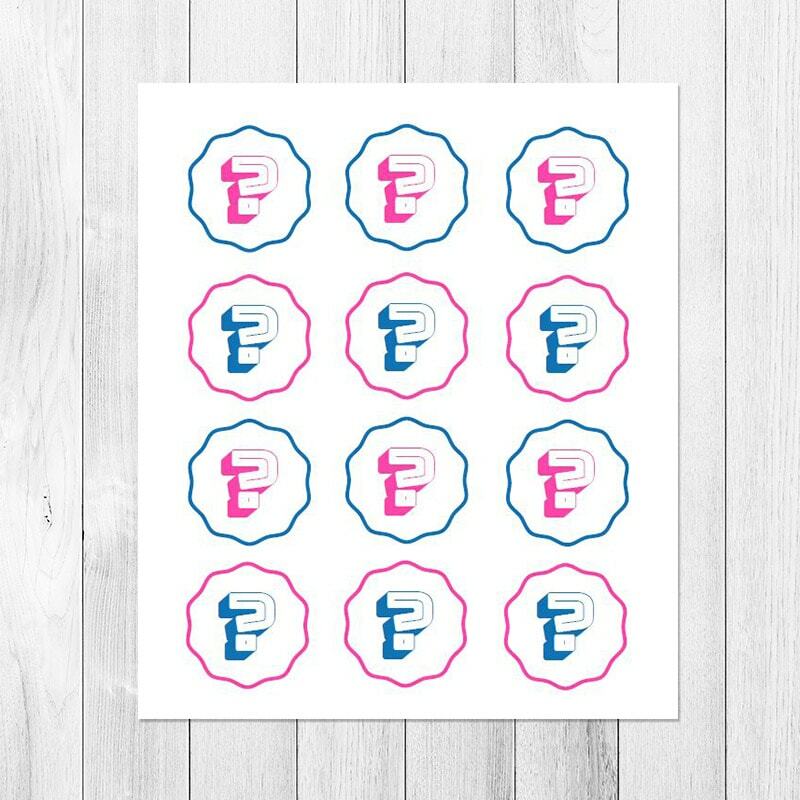 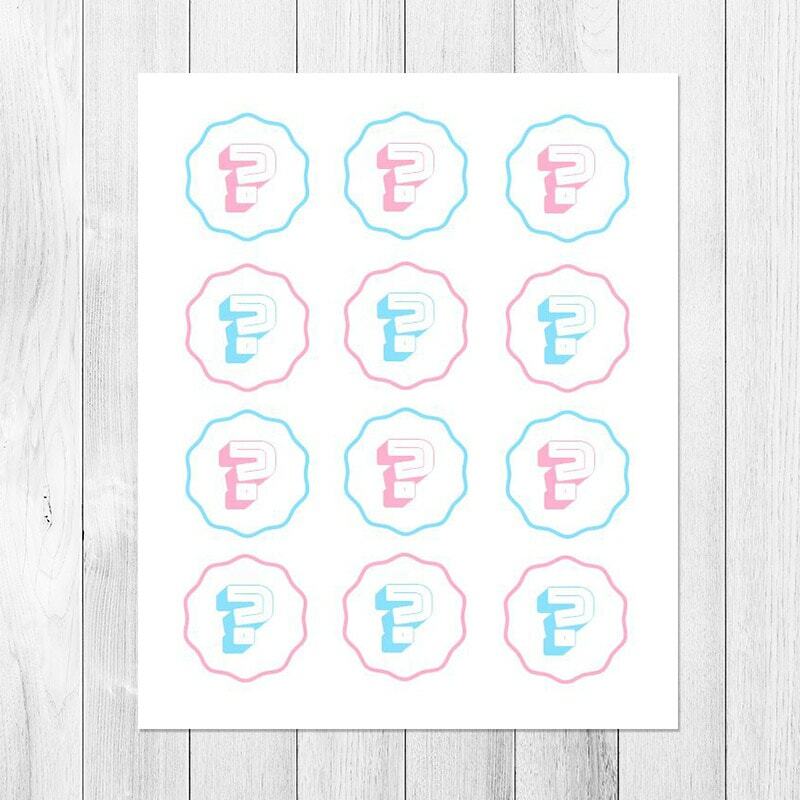 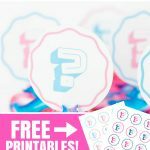 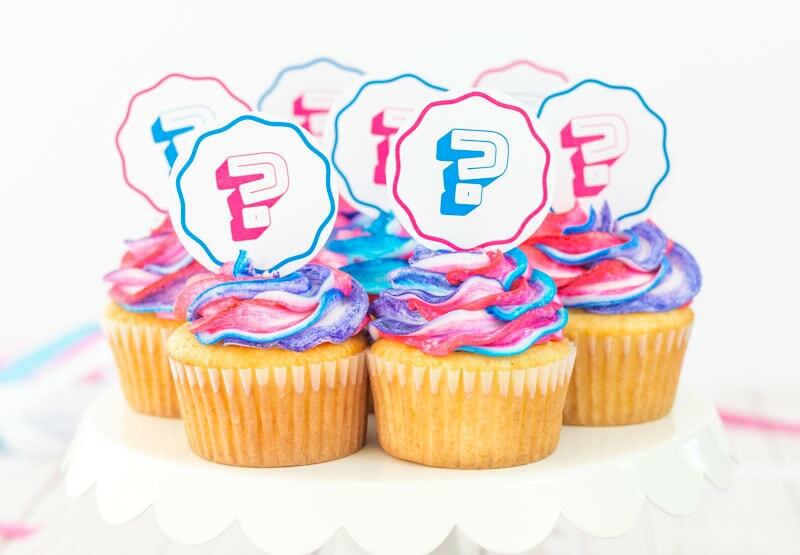 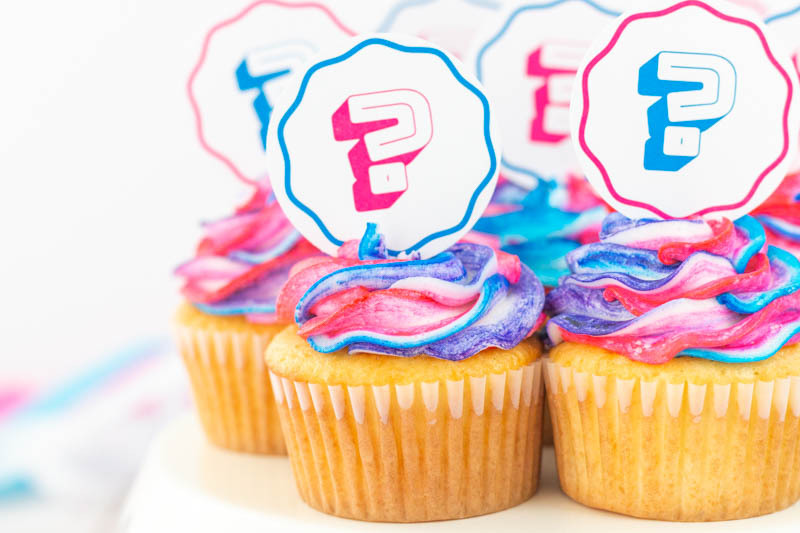 Enter these Gender Reveal Cupcakes with Printable Toppers. 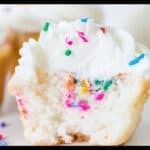 You can use any cake recipe you’d like for these. 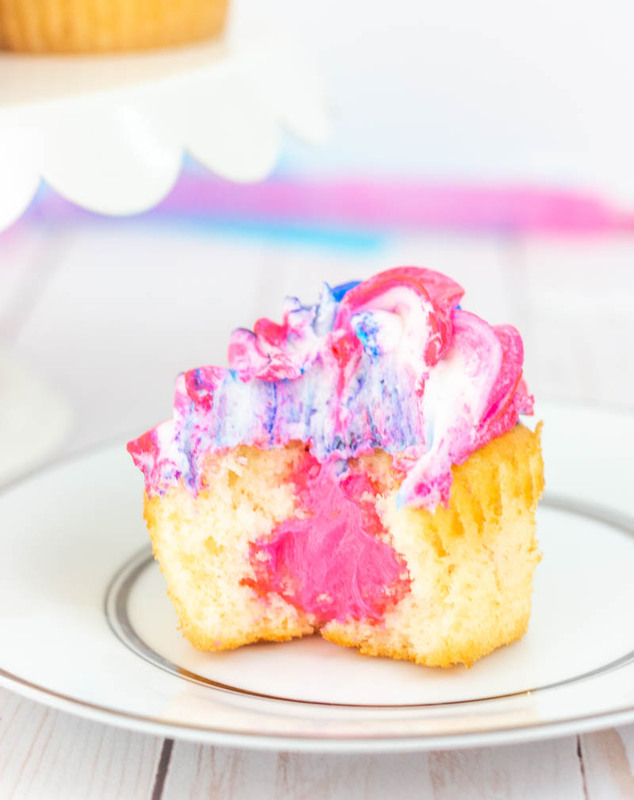 Go with a scratch cake, or make it super easy on yourself and use a cake mix. 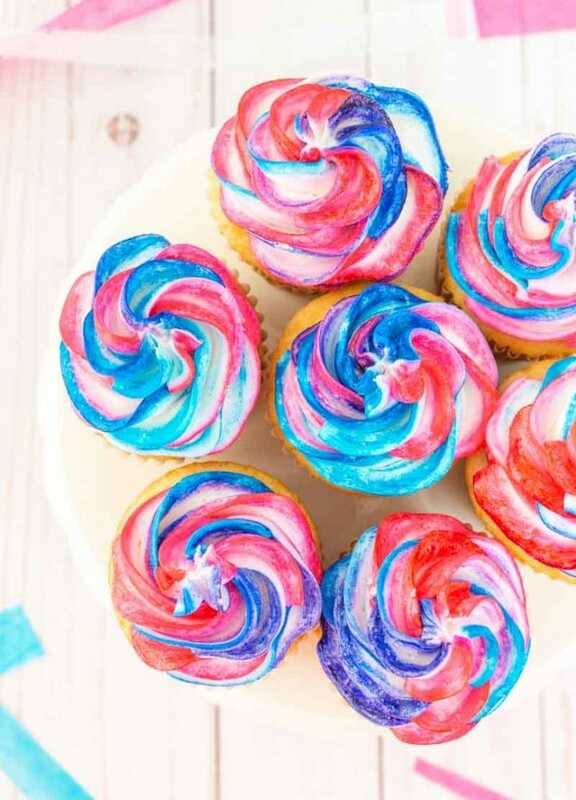 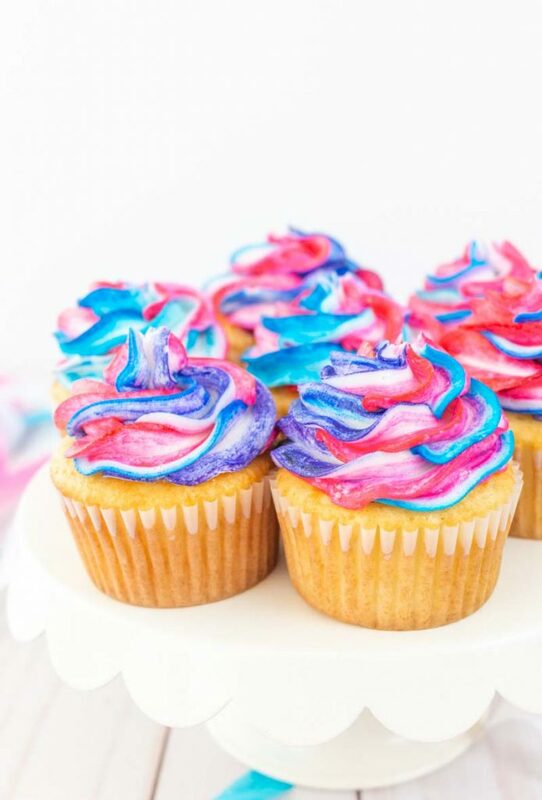 The cupcakes are then topped off with marbled blue and pink buttercream, which I show how to do in the video tutorial below. 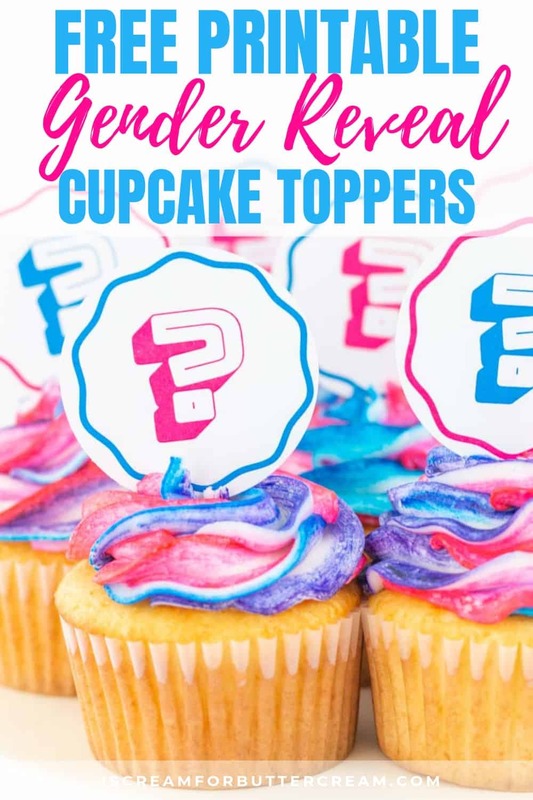 Ok, I hope you have a ton of fun making these cute gender reveal cupcakes!